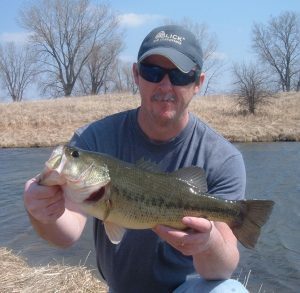 Troy – I see a lot of blue/black combination in a lot of your lures. 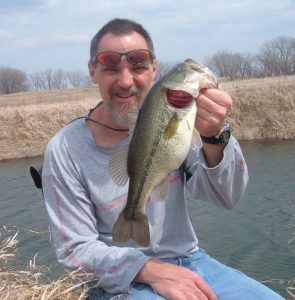 Back when I was bass fishing a lot I also used the blue/black combo in jig& pig. Took a 7-3 out of Siloam Springs 20 years ago. <My main go to lure was the blueberry worm rigged Texas style. I was looking just for an inquisitive interest at the local Farm store over the weekend. Couldn't find the straight blueberry worm at all ??? Wish I had some wise advice but all about confidence, habit and a dash of if it ain’t broke. Got a whole corner of the garage full of fishing stuff but somehow the same half dozen or so lures get a workout. 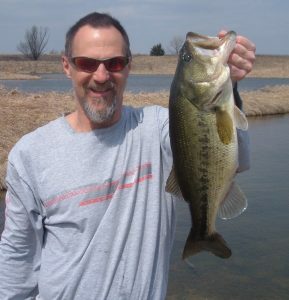 Obviously I don’t make a living catching fish so I just cast what I like or chase a gut feeling and have a good time. 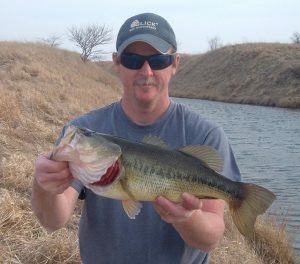 Camped at Siloam Springs in the 90s but never fished it, saw a couple really nice bass from a shocking survey there last year (?) on another website a while back. 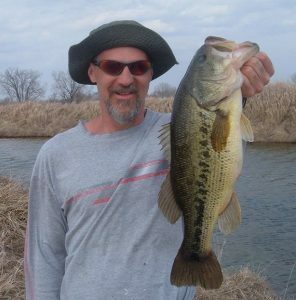 Well done on the 7-3, rings a bell, my personal best bass – Emiquon 2009.